Recently, the Un-Progressive Alliance (UPA) India, headed by Congress issued the controversial and shameless ordinance to save their star performer MPs and MLAs with criminal records so they can contest in the next election. While Aam Admi like you and I were scratching our heads wondering, how foolish the Government thinks we are, our hero, our savior, our Rahul Baba came out of the poster … Continue reading Rahul Baba’s Ordinance NONSENSE! 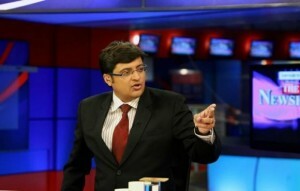 Arnab Goswami – the Newsy Indian crush!